Clouds hung in the evening sky and an unseasonably chill breeze rustled the May buds emerging on trees in front of London’s St. Pancras Old Church. Oblivious to the weather, small clusters of people chattered excitedly in the churchyard, waiting for the doors to open for the first of two sold-out London shows by Tennessee singer-songwriter Julien Baker. Since moving to London from the San Francisco Bay Area in November 2014, I attend shows on a near weekly basis, including concerts by established U.S. artists like Damien Jurado and Heartless Bastards. Nonetheless, nothing prepared me for the open-armed London reception of a 20 year-old American singer-songwriter’s debut solo project from a small, American independent record label. Released in October 2015, Baker’s album Sprained Ankle (6131 Records) recounts the young artist’s struggle as a teenager to overcome addiction and self-loathing. Sprained Ankle’s nine tracks sound as stripped back and straightforward as Baker’s startlingly mature lyrics about emergency room visits and sleeping in a park. In the United States, she has performed with fellow musician and fan Sharon Van Etten, and received critical praise from U.S. media as diverse as Pitchfork and the New Yorker. Since the July 2015 global music industry shift to New Music Fridays, music fans throughout the world, including the UK and Europe, can now obtain digital and physical album copies the same day they are released. If anything, the six-month gap between the October 2015 release of Baker’s album Sprained Ankle and her London shows appears to have intensified her fans’ enthusiasm to see her perform. Joining a small group of people talking near the arched entryway, we met a man from Budapest, who had also traveled to London specifically for the show. He held a ticket for the next night’s gig at the Forge, a venue in London’s Camden Town neighborhood. When I mentioned to the group my challenge in purchasing a ticket for either concert, someone suggested that they had sold out as early as December. Perhaps even more than their enthusiasm to attend shows, the people I spoke with clearly respected Baker’s music and Baker herself as an artist. I listened as they recounted the online interviews and performances they had watched, sharing a deep knowledge of the young musician. Later, seating ourselves in the dusky, lamp-lit church, the university student and I met a young Australian woman, excited to catch Baker during a visit to her sister. She also planned to attend the show at the Forge. Due to the long flight times to Australia and the sheer size of the continent country, she said, fewer non-mainstream, international artists like Baker tour Australia. Our row quickly filled with other solo concertgoers, including a gentleman who proudly showed us the marble-edition vinyl copy of Sprained Ankle he had ordered from the United States. He also displayed the marker he had brought in the hope of getting his album signed at the end of the evening. 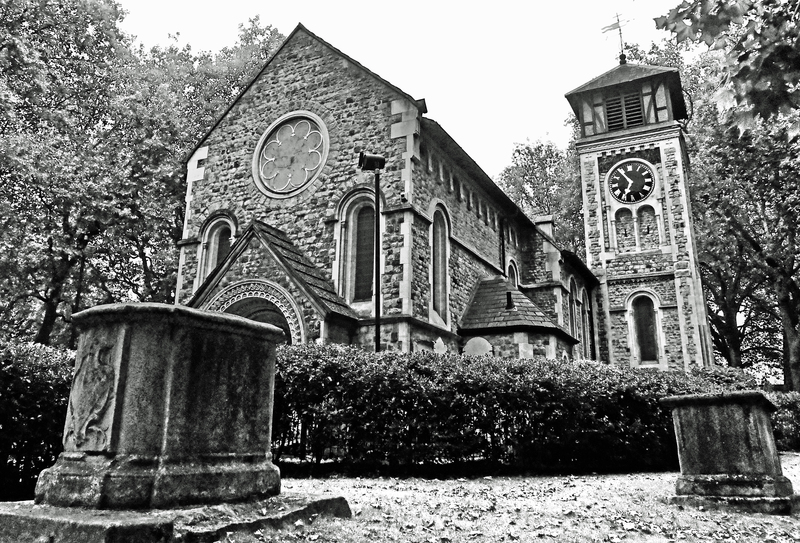 While we talked, St. Pancras Old Church continued to fill with people, ranging from a group of middle-aged Baker fans sitting in a front row of seats to East London hipsters standing in the back. At one point, Baker herself dashed down the aisle, cell phone in hand, unnoticed amidst the growing excitement for her performance. Part of Baker’s appeal as a performer, like her music, is her self-aware and also humble stage presence. Experienced enough to perform without an auto tuner, she stopped briefly mid-performance to manually tune her guitar. Apologizing, she transitioned effortlessly into another set of songs, laying bare her life experiences to the audience of nearly 200 people. Baker sang, with sincere simplicity, most of the songs from Sprained Ankle, as well as new pieces like “Funeral Pyre.” Small in stature, but clearly at home with her guitar and lyrics, Baker’s music went straight to the heart of the audience. Next to me, the university student wiped away tears during the performance, as she had predicted she would. After the show ended with Baker playing “Go Home” on the piano, I thanked my new friend again for selling me her extra ticket. Glad for release from the unforgiving wooden church seats, but reluctant to leave, we and the other audience members slowly started to disperse. Wishing one another a goodnight, many people made plans to meet at Baker’s show at the Forge the next night. Baker’s own performance moved me, but I was equally touched by the audience. I did not meet another American during the evening, and, a significant number of people I met had traveled from other parts of the UK – and even from other countries – just to see Baker perform on a Wednesday night. London welcomed Julien Baker with open arms this spring, and I expect to see her touring here again before too long – perhaps next time selling out even larger venues. 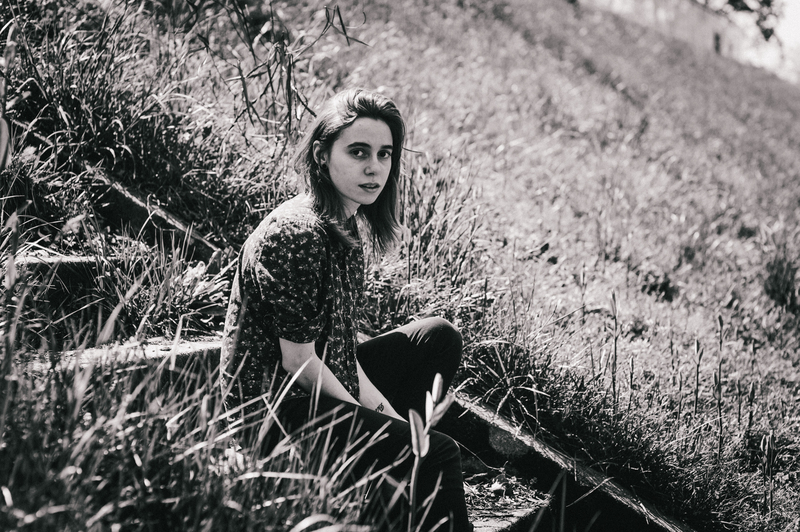 Learn more about Julien Baker, including her upcoming U.S. tour schedule.